Public Health officials in Clark County, Wash., include potential locations including Portland International Airport, venues in Portland. 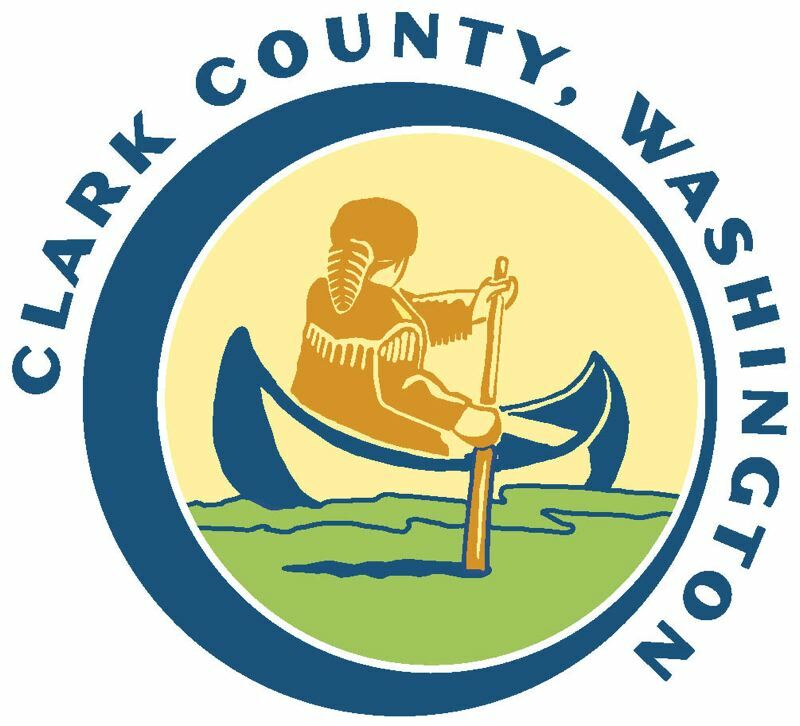 Clark County Public Health in Washington is continuing to deal with this month's measles outbreak. Dr. Richard Leman, Public Health Physician at the Oregon Health Authority, said it is important to remind people to get immunized against diseases such as measles. "The measles vaccine is safe and effective," he said. "It's the best way to protect yourself and your family from a potentially serious disease." • Noon to 5:30 p.m. Monday, Dec. 31. • 4:30 to 7:50 p.m. Saturday, Jan. 19. • 11:30 a.m. to 3 p.m. Tuesday, Jan. 8. • 3:30 to 7 p.m. Friday, Jan. 11. • 10:45 a.m. to 1:30 p.m. Saturday Jan. 12. • 4:30 to 7:30 p.m. Sunday, Jan. 13. • 9:30 a.m. to 1 p.m. Monday, Jan. 14. • 11:30 a.m. to 4 p.m., Friday, Jan. 11. • 7 p.m. Tuesday, Jan. 15, to 2 a.m. Wednesday, Jan. 16. • 12:30 to 7:30 p.m. Saturday, Jan. 19. • 10 p.m. Saturday, Jan. 12 to 4 a.m. Sunday, Jan. 13. • 12:30 to 8:30 p.m. Sunday, Jan. 13. • 8:30 p.m. Saturday, Jan. 12 to 1 a.m. Sunday, Jan. 13. • 5:45 p.m. Sunday, Jan. 13 and 12:30 a.m. Monday, Jan. 14. • 11:40 p.m. Monday, Jan. 14 to 5:10 a.m. Tuesday, Jan. 15. • 3:45 to 8 p.m. Monday, Jan. 14. Randall Children's Hospital at Legacy Emanuel in Portland has been removed from the list of potential exposure sites. Public Health officials learned that the hospital was notified in advance of the potential measles patient and was able to take prevention measures to ensure others were not exposed to the patient. • Cornerstone Christian Academy, 10818 N.E. 117th Ave., Vancouver on Friday, Jan. 4. • Vancouver Home Connection, 301 S. Lieser Road, Vancouver on Monday, Jan. 7; Wednesday, Jan. 9; and Friday, Jan. 11. • Hearthwood Elementary School, 801 N.E. Hearthwood Blvd., Vancouver, on Monday, Jan. 7; Tuesday, Jan. 8; and Wednesday, Jan. 9. • Slavic Christian Academy, 7300 MacArthur Blvd., Vancouver on Monday, Jan. 7. • Image Elementary School, 4400 N.E. 122nd Ave., Vancouver on Tuesday, Jan. 8 and Wednesday, Jan. 9. • Eisenhower Elementary School, 9201 N.W. Ninth Ave., Vancouver on Tuesday, Jan. 8 and Wednesday, Jan. 9. • Tukes Valley Primary School, 20601 N.E. 167th Ave., Battle Ground on Tuesday, Jan. 8. • Maple Grove School, 601B S.W. Eaton Blvd., Battle Ground on Tuesday, Jan. 8 and Wednesday, Jan. 9. • River HomeLink, 601 S.W. Eaton Blvd., Battle Ground on Tuesday, Jan. 8 and Wednesday, Jan. 9. • Evergreen High School, 14300 N.E. 18th St., Vancouver on Wednesday, Jan. 9. • Orchards Elementary School, 11405 N.E. 69th St., Vancouver on Monday, Jan. 14. The Clark County Public Health office is requiring exclusion of students and staff without documented immunity to measles from only those schools identified as possible exposure sites. Students and staff excluded from those identified schools also are excluded from other schools, child care and other congregate settings. Students and staff at schools where measles exposure did not occur are not impacted by exclusions. • Church of Christ Our Savior, 3612 F St., Vancouver, from 9:30 a.m. to noon Sunday, Jan. 6; 6 to 11:30 p.m. Sunday, Jan. 6; 9:10 a.m. to 3 p.m. Sunday, Jan. 13. • Church of Truth, 7250 N.E. 41st St., Vancouver, from 11 a.m. to 4:30 p.m. Sunday, Jan. 6. • Portland International Airport, 7000 N.E. Airport Way, Portland: From 10:45 a.m. to 3:45 p.m. on Monday, Jan. 7. More specifically, anyone who spent time in Concourse D and the Delta Sky Lounge during that time period. Also: 7:30 to 11 p.m. Tuesday, Jan.15. More specifically, baggage claim and south end of the ticket counter (near Alaska Airlines and Starbucks). • GracePoint Christian Church, 7300 MacArthur Blvd., Vancouver, from 6:30 a.m. to 5:30 p.m. Monday, Jan. 7. • Costco, 4849 N.E. 138th Ave., Portland, from 1 to 5:30 p.m. Tuesday, Jan. 8; and from 5:30 to 8:40 p.m. Wednesday, Jan. 16. • A Children's Dentist, 101 N.W. 12th Ave., Battle Ground, from 1:30 to 6 pm Tuesday, Jan. 8. • Fisher Investments, 5525 N.W. Fisher Creek Drive, Camas, Wash., from 6:20 a.m. to 7 p.m. Thursday, Jan. 10; from 6:20 a.m. to 7 p.m. Friday, Jan. 11; from 6:20 a.m. to 7 p.m. Monday, Jan. 14; and 6:20 a.m. to 7 p.m. Tuesday, Jan. 15. • Amazon Lockers, 1131 S.W. Jefferson St., Portland, from 3:30 to 7 p.m. Thursday, Jan. 10. • Rejuvenation, 1100 S.E. Grand Ave. Portland, from 3:30 to 7:30 p.m. Thursday, Jan. 10. • Pho Green Papaya, 13215 S.E. Mill Plain Blvd., Vancouver, from 7:30 to 10:30 p.m. Thursday, Jan. 10. • Chuck's Produce, 13215 S.E. Mill Plain Blvd., Vancouver, from 8 to 11:45 p.m. Thursday, Jan. 10, and 2:30 to 5:30 p.m. Friday, Jan. 11. • Moda Center (Trail Blazers game), 1 N. Center Court St., Portland from 5:30 to 11:30 p.m. Friday, Jan. 11. • Ikea, 10280 N.E. Cascades Parkway, Portland, from 4:30 to 8:30 p.m. Friday, Jan. 11. • Verizon Wireless at Cascade Station, 10103 N.E. Cascades Parkway, Portland, from 5 to 11 p.m. Monday, Jan. 14. Dollar Tree, 7809-B Vancouver Plaza Drive, Vancouver, from 6:30 to 9:10 p.m. Tuesday, Jan. 15. • Dollar Tree, 11501 N.E. 76th St., Vancouver, from 8:10 to 10:50 p.m. Tuesday, Jan. 15.